Ryan and Pattengale aren't related, though. They just sound that way, their vocals blending together in an almost magical manner that recalls harmony legends such as the Everly Brothers. 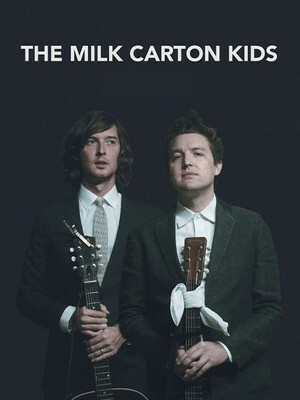 Why See The Milk Carton Kids? 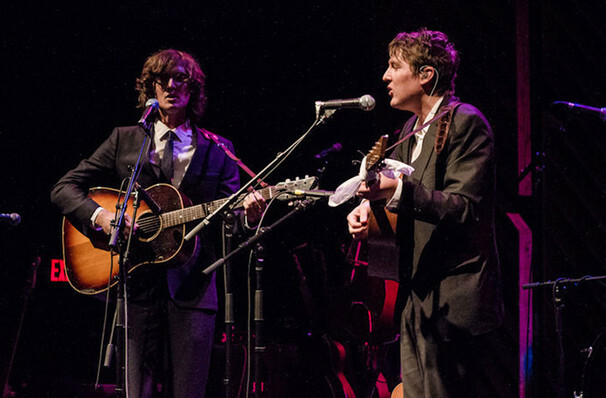 The Milk Carton Kids, comprising Kenneth Pattengale and Joey Ryan, have enjoyed a rapid ascension to the top of the indie folk world. The duo formed in 2011 and have since staked out their territory as a more understated and chilled act than the likes of fellow folk revivalists Mumford and Sons, marking a departure from bro-country and foot-stomping folk acts of recent years, often being compared to Simon and Garfunkel. Their 2013 record, Ash and Clay, received a Grammy Nomination for Best Folk Album, and were also nominated for Group of the Year by the Americana Music Association. In 2014 they performed and recorded live over two nights with Joe Henry and Over the Rhine with new music inspired by the Great American Soundtrack; their third album Monterey was released in 2015 to critical acclaim, showing that the pair are very much at the top of their genre. Sound good to you? Share this page on social media and let your friends know about The Milk Carton Kids at Pantages Theater. Please note: The term Pantages Theater and/or The Milk Carton Kids as well as all associated graphics, logos, and/or other trademarks, tradenames or copyrights are the property of the Pantages Theater and/or The Milk Carton Kids and are used herein for factual descriptive purposes only. We are in no way associated with or authorized by the Pantages Theater and/or The Milk Carton Kids and neither that entity nor any of its affiliates have licensed or endorsed us to sell tickets, goods and or services in conjunction with their events.